This week’s Robert Burns Centre Film Theatre Film Club screening was a historical drama based on the three marches that took place in America in 1965. 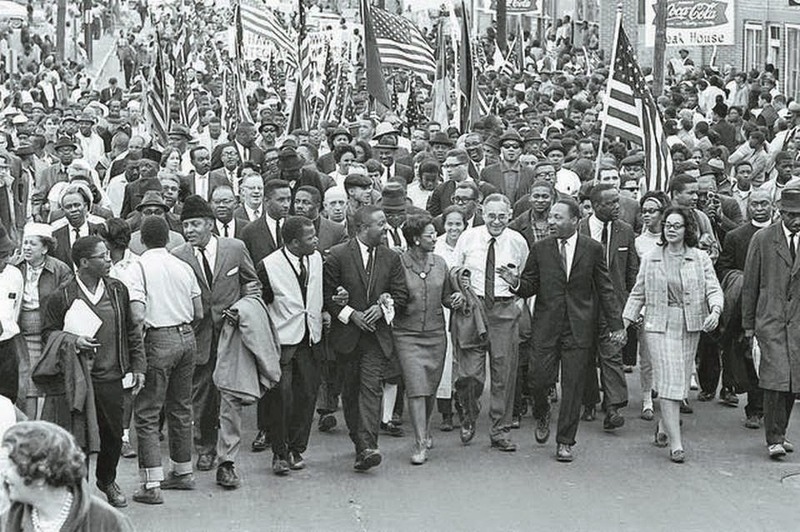 These protest marches took place along the 54-mile highway from Selma, located on the banks of the Alabama River, to Montgomery, the State Capital. 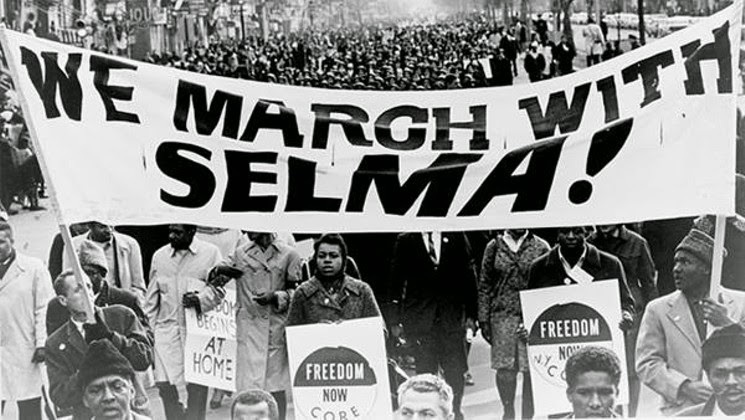 These marches formed part of the Selma Voting Rights Movement and were carried out to demand the constitutional voting rights for African American’s. 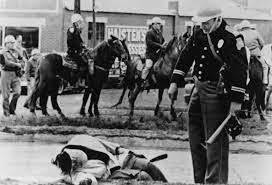 The non-violent protest was lead by James Bevel, a leader of the 1960’s Civil Rights movement, the civil right activist Hosea Williams and John Lewis, who spent his life playing a key role in the struggle to end legalized racial discrimination and segregation. But probable the best known of the four was Doctor Martin Luther King Jnr a Baptist minister, activist, humanitarian and a leader in the Civil Rights Movement who in 1964 won a Nobel Peace Prize. 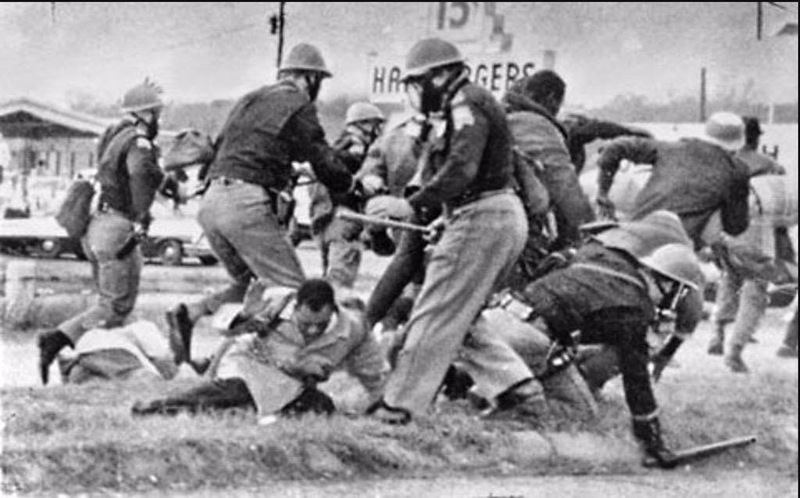 The marches would give a public face to people who were being denied any such representation at the ballot box. Selma (2014), is a film that has much to say about America and racialism directed by Ava DuVernay who is the first African-American woman to win a Best Director Award at the 2012 Sundance Film Festival for her second feature film, Middle of Nowhere (2012) that she wrote, directed and produced, that also stared David Oyelowo who play’s Martin Luther King in her latest movie. She is also the first black female to have a film nominated for an Academy Award for Best Picture, although she did not receive a nomination for best director. 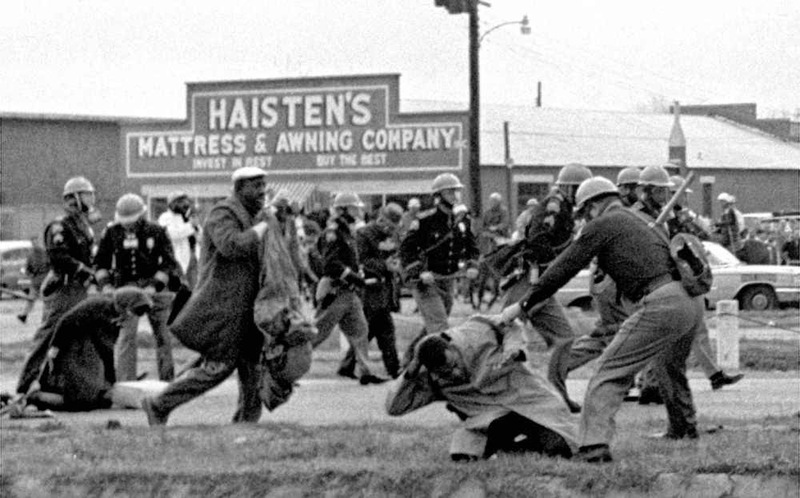 These incidents portrayed in Selma took place 100 years after the Thirteenth Amendment which was supposed to stop slavery and which was masterfully portrayed in Steven Spielberg’s Lincoln (2012). Have things really changed in America and for that matter the United Kingdom parts of which seem to have transferred its prejudice from black people to Muslims! Almost 50 years ago, Rev Martin Luther King Jnr stood on the steps of the capitol in Montgomery, Alabama, and asked the question: “How long?” We are still asking that question today: how long will it take before America realises its promise of equal justice before the law? How long will it take before racial prejudice, bigotry and hatred no longer exist? Fifty years is a long time, a lifetime in fact. For example in August 2014, Americans protested 500 miles north of Selma in Ferguson, Missouri, after a white police officer killed Michael Brown an unarmed black teenager. Although the white police office (Darren Wilson) shot at the 18 year old twelve times - he was cleared of any wrongdoing. Almost a week after this outrageous announcement from Ferguson, another grand jury announces that a New York City police officer responsible for the homicide of Eric Garner, who was 43 years old, will not be held to account. Just two incidents, out of how many? 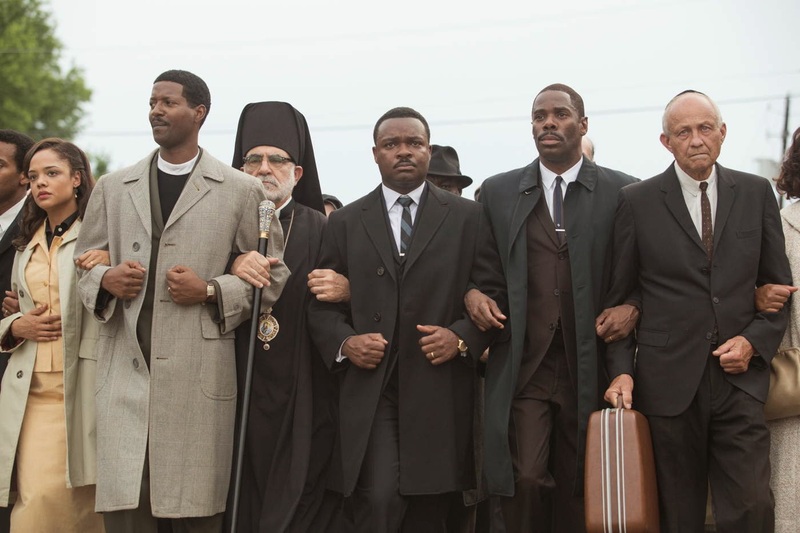 That Selma failed to stir the massed Caucasian ranks of the Academy and BAFTA in the way that Steve McQueen’s 12 Years a Slave did last year may be down to its sober treatment of the origin of the 1965 Voting Rights Act; it is, nevertheless, a stinging irony that a film about institutionalised racism should have met with such indifference from the highest ranks of movie society, and has prompted renewed calls for voter reform. As well as Oyelowo, who gets a lead role worthy of his talent, the film stars Tom Wilkinson as President Lyndon Johnson, Tim Roth as the vile George Wallace Governor of Alabama and Carman Ejogo as Doctor King’s wife Coretta Scott King, all, you will note, are British actors. A moving indictment of racialism and bigotry that stunned the RBCFT audience and stimulated the discussion that followed the movie, as well as asking the question, we should not still be asking in 2015, how long must the disgrace of racial hatred and bigotry continue in the so called civilised world? Dr. King was assassinated on the 4th April 1968 aged 39 in Memphis Tennessee. Carmen Elizabeth Ejogo (born 1973) is an British actress and singer. She began her career as a teenager in London, hosting the Saturday Disney morning show from 1993 to 1995. Her film credits include What's the Worst That Could Happen?, Away We Go, Sparkle, Alex Cross, and The Purge: Anarchy.